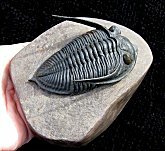 Here is a very displayable trilobite. This is a large Zlichovaspis rugosa from the Devonian of Morocco. 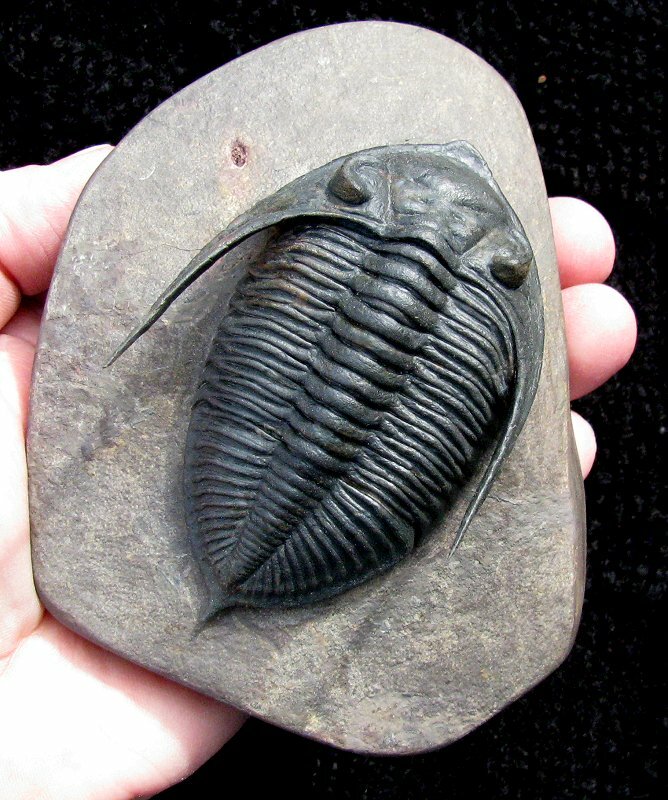 This trilobite was prepared in the EXTINCTIONS Prep Lab, as are all of our Moroccan trilobites. The fossil is extremely 3-dimensional and wonderfully articulated. The robust trilobite also exhibits very fine detail. The long, wide, sweeping genal spines are intact to the tips and have been prepared in a free-standing manner. The large eyes are easily seen, and pointed tip of the tail (tailspine/telson) has also been prepared free of matrix. The dark color of the trilobite contrasts superbly with the light brown matrix. The large bug has been beautifully prepared, showcased in the desirable ''flying'' position. 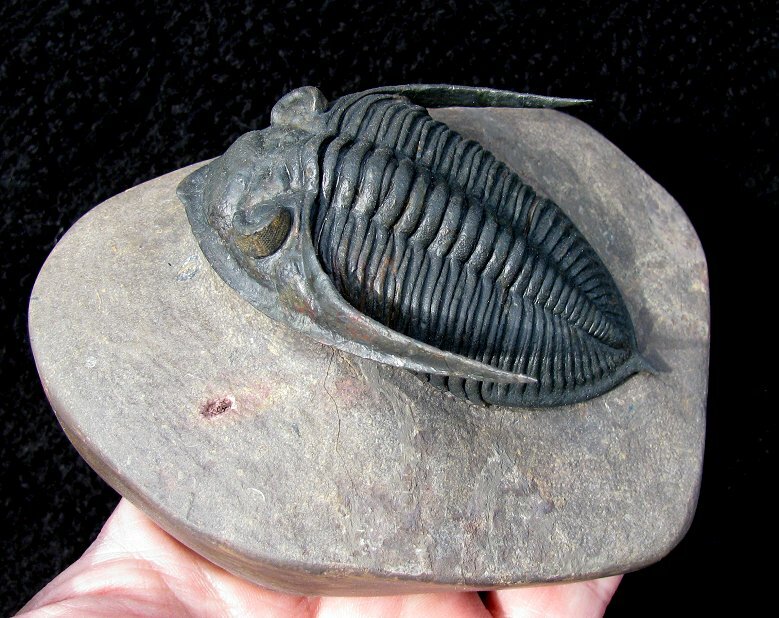 This is a very eye-catching specimen of this large Dalmanitid trilobite.